Hair "Styles by Arica Hart"
JOIN THE BANDWAGON & GET A HAIR "STYLES BY ARICA HART"
There are a variety of hair styles to choose from. 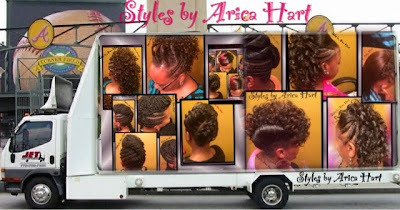 They range from mohawk hair styles to stuffed twist styles and braid styles. Either way, I'm sure you'll find that style that will accentuate your lovely features. At the top left, she is sporting a mohawk style with curls & fold overs. At the bottom left, she is wearing a mohawk braid style on natural hair. (It can be worn on relaxed hair also). At the bottom left/middle is the back of a lifted braid hair style. Then I have another mohawk style with curls in the middle of two elegant buns at the right/ middle section of the bandwagon. 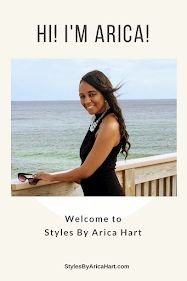 So, if your looking to get on the bandwagon & get a "styles by Arica Hart". Hit your girl up via phone or on Facebook, Pinterest, or Twitter. Video below of a variety of hair styles.